If you’re wondering why Michael Cohen’s admission that he lied to Congress is such a big deal for Trump, here’s why: It connects the president to the lie. In other words, the president, who lies about something every day it seems, is now caught in one those lies by Robert Mueller. 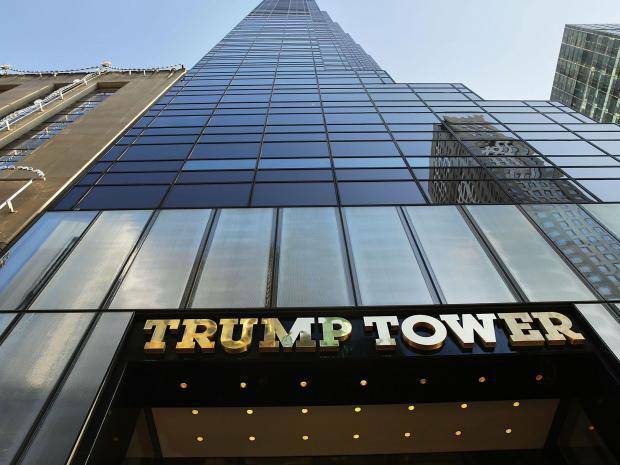 As ABC News reports, one of the questions Mueller’s team asked Trump regarded a plan to build a Trump Tower in Russia. It seems very unlikely that Trump told Mueller the truth because had he done so it would be proof that he was working with the Russians for financial gain during his campaign. All along the way, Trump has denied any collusion with Russia, but now Mueller may have conformation – in writing – that he did, or at least there is a strong assumption that he did. Before Cohen admitted to lying to Congress, Trump’s story that he had not been working with the Russians to seal the deal for a Trump Tower during his campaign held up – there was no proof to the contrary. However, now Trump’s story no longer holds water. Someone is lying about that Russian deal and it isn’t Cohen because he has too much to lose at this point to lie to Mueller. Trump has said, in effect, so what if I was working with the Russians on a deal that would help me financially. He wasn’t sure, he said, if he would win. If he didn’t win he still had his businesses to run. Trump is saying he wasn’t going to stop doing business just because he might become president someday. Yet, he was running a campaign to become president and should have known how it would look doing business with an enemy of the United States. One could say, Trump is just an incompetent politician or ignorant of how things would be perceived, but then there’s the Wikileaks email connection. Associates of Trump were collaborating with Julian Assange and Wikileaks to release emails that would be damaging to his opponent Hillary Clinton during the campaign. It seems Trump would have been aware of this effort by his associates. If he did not think he would win the election why was he working so hard to damage Clinton’s reputation? So, Trump knew about efforts to build a Trump Tower in Russian, and even offered Vladimir Putin a ritzy suite. Trump apparently knew about the release of the Clinton emails before the election. Trump also had to be aware the Russians were working back channels on social media to help him get elected. He knew about Russian money and money laundering as well. Given all this, how can he say he’s not guilty of any collusion with Russia? Mueller is methodically building a case against Trump and his associates, many of which have already been indicted. Brick by brick a wall is being built, but it’s not the wall Trump wanted. Many questions remain, such as, did Trump try to induce Cohen to give false evidence? It seems unlikely that Cohen lied to protect Trump without Trump’s knowledge or input, though it is possible. Further, it seems that Trump, Cohen, Manafort and others have worked together to derail Mueller’s investigation. If that can be proven, and Mueller is probably working on it, Trump would become an unindicted co-conspirator of obstruction of justice. As long as Trump remains president it seems he can not be indicted for a crime, except by the Senate who could remove him from office, but that seems highly unlikely. However, after he leaves the Oval Office he may finally face justice. And getting back to Congress and the Republicans: After Trump won the nomination he was their man. They have stood behind him so far because not standing behind him would be like admitting they made a mistake of supporting him in the first place. The Republicans lost the House due to Trump’s poor popularity and in 2020 they stand a good chance of losing the Senate and the Presidency if they continue to blindly follow their party leader. It’s likely we will begin to see support for the president drift away. Most recently they did so by failing to confirm his nomination of a Federal Judge in North Carolina. Confirmations may become harder to come by for Trump over the next two years and House Democrats will keep him on his heels with investigations. Cohen’s testimony against his former boss is a big deal, and we don’t know the half of what he has to say at this point. Hang on to your hats, the winds of change are beginning to blow harder.